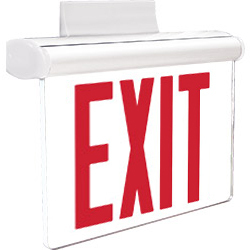 Exitronix's LED exit signs combine functionality and a contemporary design for use in a variety of applications. 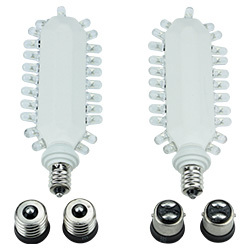 Attractive and easy to install. 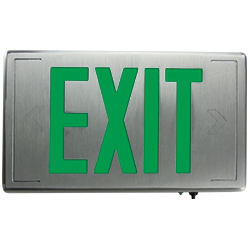 the VEX-S Series universal steel exit sign offers quality LED illumination and electronics in a durable steel enclosure. 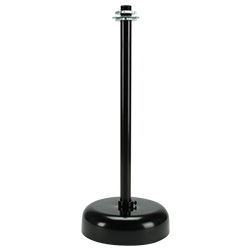 The VEX-S is ideal for any commercial, institutional, or industrial application. 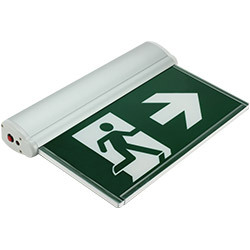 Attractive and easy to install, the VEX Remote Series exit sign combines quality LED illumination with contemporary, soft corner styling to complement any application. 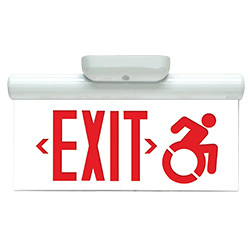 Attractive and functional, the 450 Series ultraslim, die-cast aluminum exit sign is completely self-contained and utilizes reliable, energy-efficient LED illumination. Versatile and easy to install, the 400S/U Series LED exit sign is constructed out of premium grade, heavy-duty, die-cast aluminum for long-lasting durability. 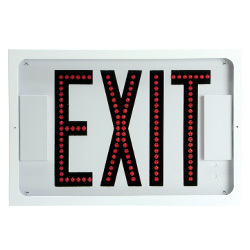 The VRC Series LED exit sign is engineered to perform in the most extreme environments. 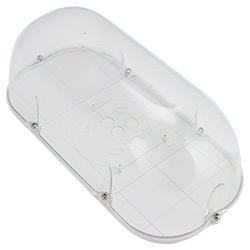 A fully gasketed, polycarbonate lens and 5VA housing enable the VRC to be installed in locations that require Wet Location Rated protection. 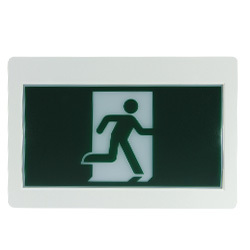 The S900RM Series surface/recessed edge-lit running man exit sign features a slim, architectural design suitable for most indoor environments. Attractive and functional, the S900RM is completely self-contained and utilizes reliable, energy-efficient LED technology. 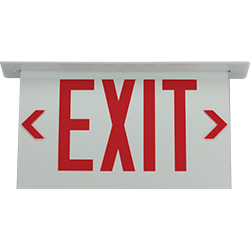 The NY900U Series New York City Approved universal LED edge-lit exit sign combines a low-profile, architectural look with quality components. 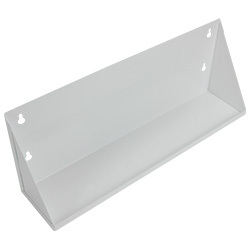 The pivoting design allows for simple installation in any application including wall, ceiling, sloped ceiling or recessed mounting. 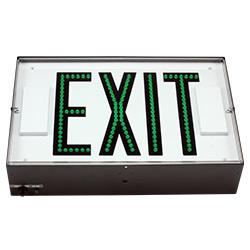 The NY900E Series specification grade, edge-lit exit sign's LED-illuminated, AC-only and emergency exit models meet New York requirements. 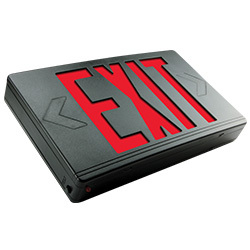 The NY900E features an architectural, slim design to fit into any environment. 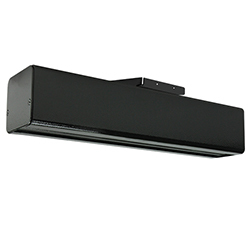 Attractive and functional, the NY900E is completely self-contained and utilizes reliable, energy-efficient LED illumination. 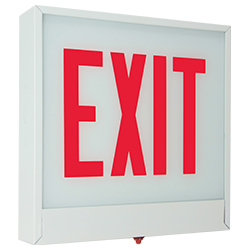 The NAV Series vandal-resistant LED exit sign is designed to stand up to high-abuse areas such as correctional facilities, schools, apartment complexes and public areas that may be subject to vandalism. The NAV features an IEC IP66 rating standard and is suitable for wet or hose down applications. 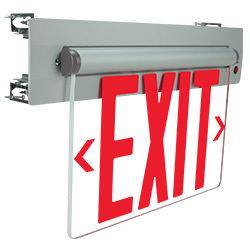 The CTC900E Series offers a quick-slide canopy for in-field adjustment from wall to ceiling mount. 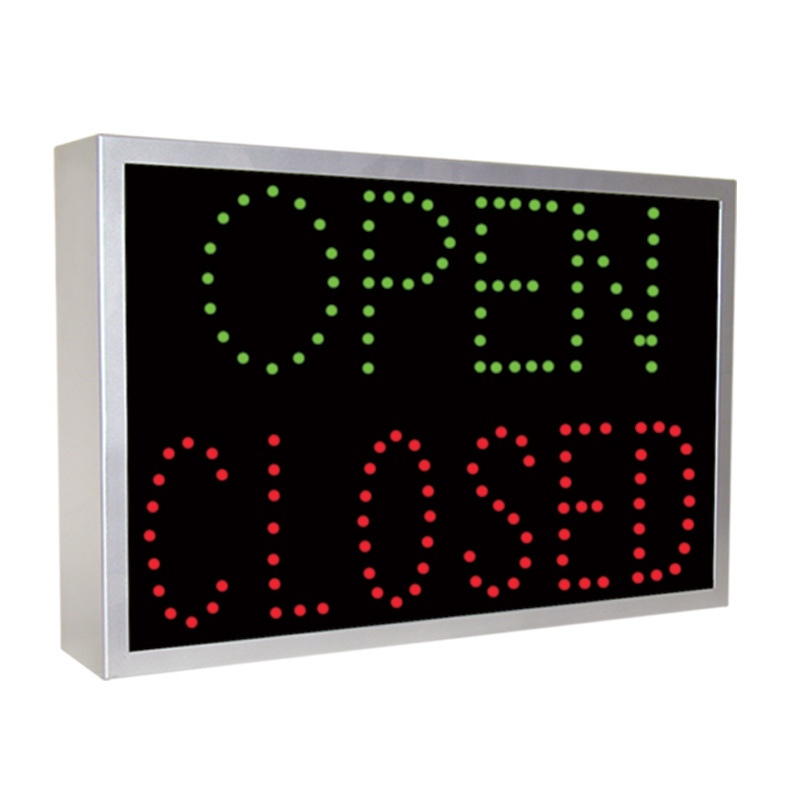 The CTC900E features high-intensity red or green LEDs providing bright and uniform illumination in an edge-lit design, and includes State of Connecticut required modified accessibility symbol. 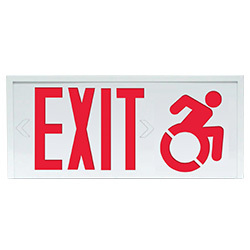 The CT900E Series edge-lit exit sign features high-intensity red or green LEDs for bright and uniform illumination and includes State of Connecticut required modified accessibility symbol. 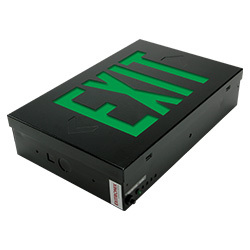 The CT900E offers a reduced size back box and trim plate. 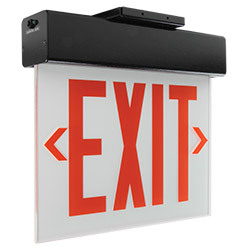 The CT700E Series LED exit sign offers a contemporary, slim profile, steel housing design ideal for commercial and institutional installations. 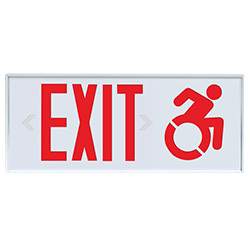 Designed to meet State of Connecticut requirements, the CT700E utilizes an ADA compliant, modified accessibility symbol. 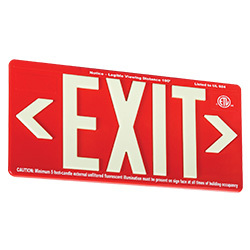 The CT400E Series LED exit sign offers a modern, slim profile, extruded aluminum enclosure design ideal for commercial and institutional installations. 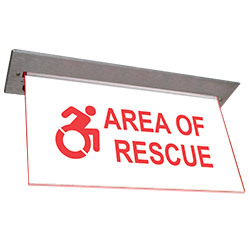 Designed to meet State of Connecticut requirements, the CT400E utilizes an ADA compliant, modified accessibility symbol. 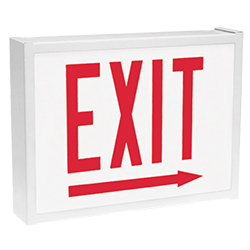 Attractive and functional, the 900E Series edge-lit exit sign is completely self-contained and utilizes reliable, energy-efficient LED illumination. The architectural, slim design fits into any environment. 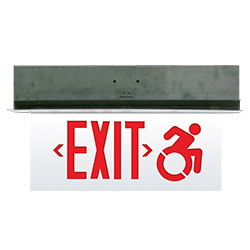 The 400U-8 Series New York City Approved universal die-cast LED exit is designed to combine both beauty and performance while maintaining optimal energy efficiency with a bright, uniform illumination. 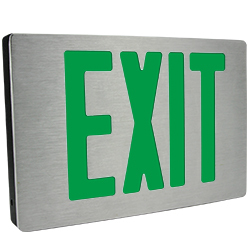 The 400E Series die-cast aluminum LED exit sign is designed to combine both elegance and performance while maintaining optimal energy efficiency and bright, uniform illumination. 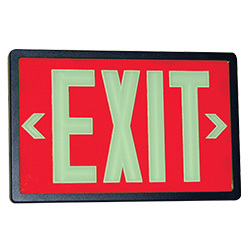 With visibility up to 100', the Exi-Glow EG100 Series photoluminescent exit sign is a safe, reliable, energy-saving choice for commercial buildings, retailers, schools and healthcare facilities. 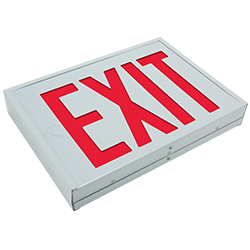 Long-life photoluminescent technology eliminates energy costs and reduces maintenance expenses. 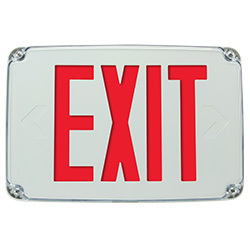 The PXP Series self-luminous exit sign is the practical solution for exit and safety signs where electricity is unavailable. 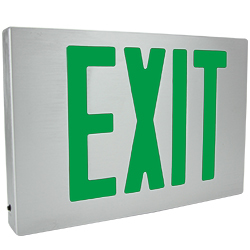 This sign is totally self-contained, durable and attractive. It is completely free of outside energy sources and provides 10 to 20 years of continuous, maintenance-free illumination. 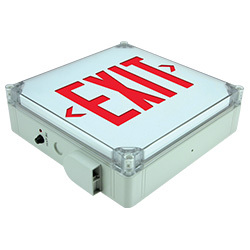 The EXI-GLOW EG100 Series framed, photoluminescent exit sign is visible up to 100'. The EXI-GLOW EG100 is a safe, reliable, energy-saving choice for commercial buildings, retailers, schools and healthcare facilities. 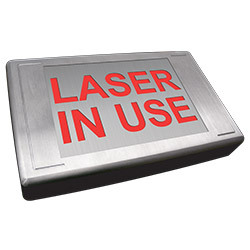 Long-life photoluminescent technology eliminates energy costs and reduces maintenance expenses. 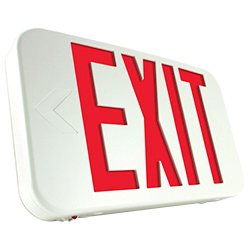 The Champion Series edge-lit offers the style of traditional exit signs with added safety in hazardous environments. 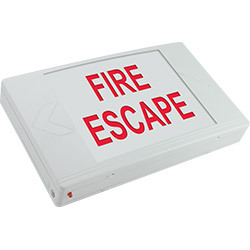 The CP-E is designed with a factory-sealed, hazardous rated enclosure to assure the safety in any hazardous atmosphere. 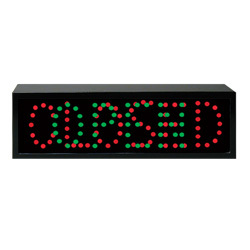 The 84 Series custom sign offers an attractive, low-profile, weatherproof housing designed with the extremes of the elements in mind. 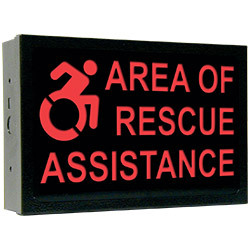 The 84 Series accommodates any custom message, company logo or personalized option in any font, size or color to compliment any application. 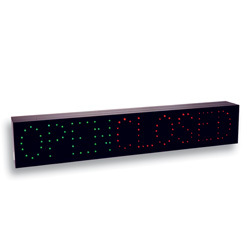 The 82-2 Series weatherproof, LED directional signage informs, directs and maintains traffic moving smoothly in congested areas, effectively guiding customers to the fastest service available. State-of-the-art circuitry and long-life, ultrabright LEDs combine dependable, maintenance-free operation and superior illumination even in direct sunlight. 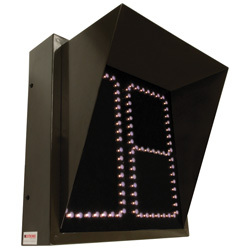 The 82-1 Series weatherproof, LED directional signage informs, directs and maintains traffic moving smoothly in congested areas, effectively guiding customers to the fastest service available. 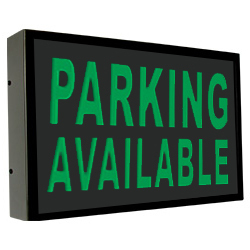 State-of-the-art circuitry and long-life, ultrabright LEDs combine dependable, maintenance-free operation and superior illumination even in direct sunlight. 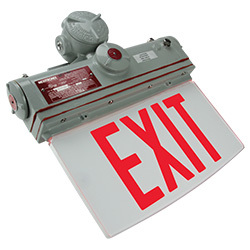 The WPV Series Wet Location, vandal-resistant guards protect emergency lighting equipment against the weather and accidental or intentional abuse. 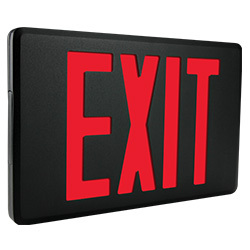 Ideal for outdoor use and high-traffic areas such as schools, gymnasiums, parking garages, warehouses and public areas. 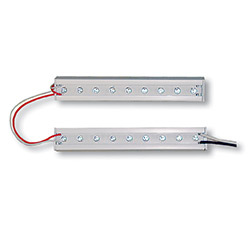 The Ledge Series edge-lit LED retrofit kit is designed to fit existing incandescent or fluorescent edge-lit signs for excellent illumination and energy efficiency. 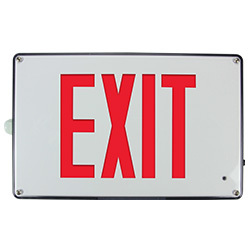 The RT2 Series LED retrofit bulbs easily retrofit most incandescent exit signs in minutes. 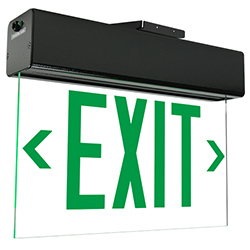 The RT1 Series LED retrofit kit reduces exit sign energy consumption up to 97% and eliminates maintenance expenses while providing a bright, uniform look.